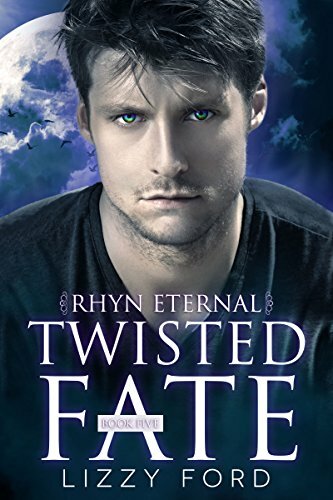 Stranded as a mortal after Karma decided to balance him, Fate faces the challenge of living out life as one of the humans he normally mocks. His first problem: all the other deities, demons and Immortals who want payback for him messing with their futures now know he’s vulnerable. But it’s his second issue he doesn’t know exactly how to handle. There’s this girl. She’s special. And she shouldn’t exist, because he tweaked his own future to keep his preordained mate from being born. Stephanie doesn’t think twice about the handsome, enigmatic man she crosses paths with at a book festival in the swanky coastal town of Carmel. She definitely isn’t happy about having to rescue him from a freakish looking gang of men. She outright flees when the man with the beautiful eyes claims he stole her soul – and the demons are coming for them both. Soon, demons are the least of their worries. Without Fate to keep them in check, the Dark One and the Council That Was Seven are poised to tear the world apart. Stephanie becomes stuck in the middle of the brewing war, while Fate, for the first time in his life, is forced to watch from the sidelines. Love takes a backseat to dangerous politics, and the two strangers are forced to trust one another in order to stop what’s coming.